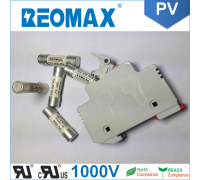 The REOMAX PV1000 Solar Protection Fuse links series has been specifically designed for the protection of photovoltaic (PV) systems, this family of Midget style fuses (10 x 38 mm) can safely protect PV modules and conductors from reverse overcurrent conditions. 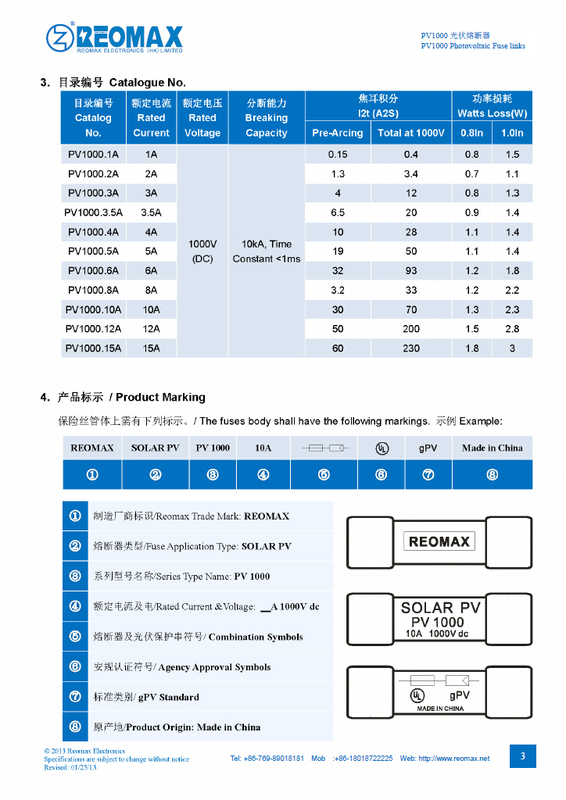 As PV systems have grown in size, so have the corresponding voltage requirements. 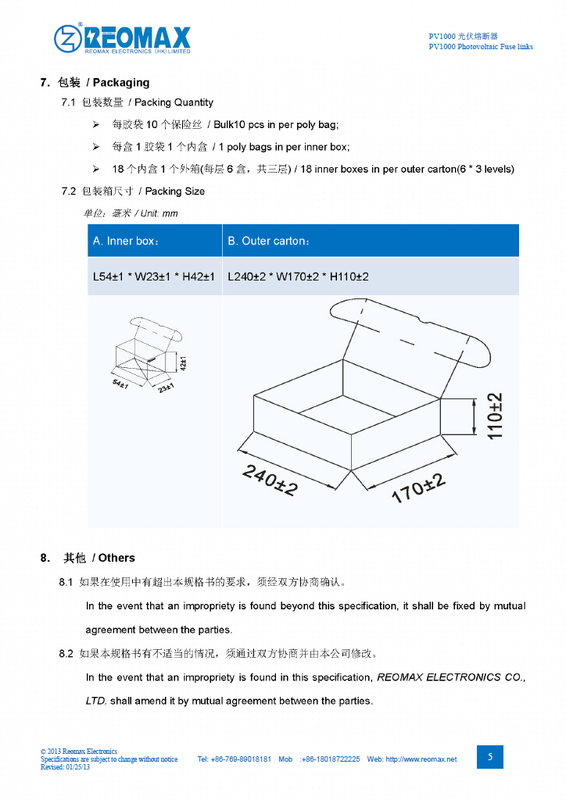 This increase in system voltage has typically been intended to minimize power loss associated with long conductor runs. 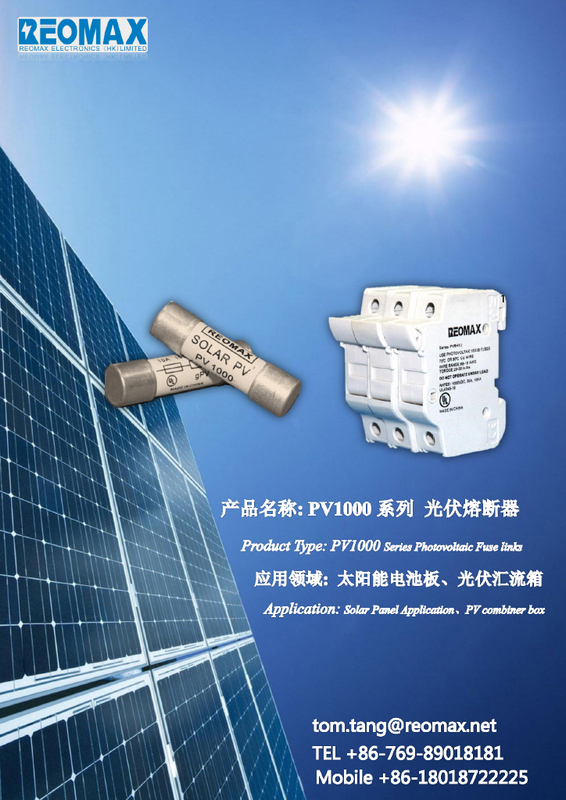 Standard circuit protection devices are not designed to completely protect photovoltaic panels. 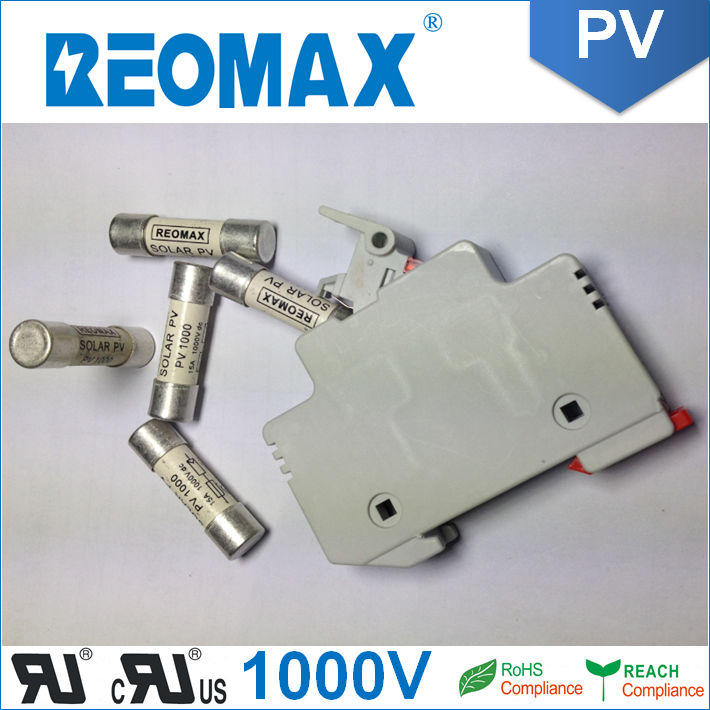 However, the REOMAX PV1000 series is to safely interrupt faulted circuits up to this demanding voltage level. 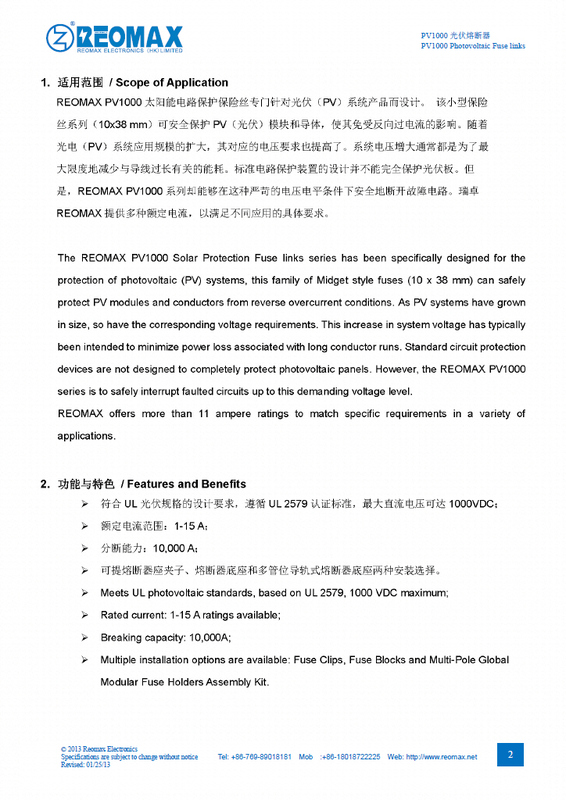 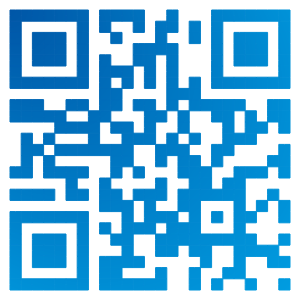 REOMAX offers more than 11 ampere ratings to match specific requirements in a variety of applications. 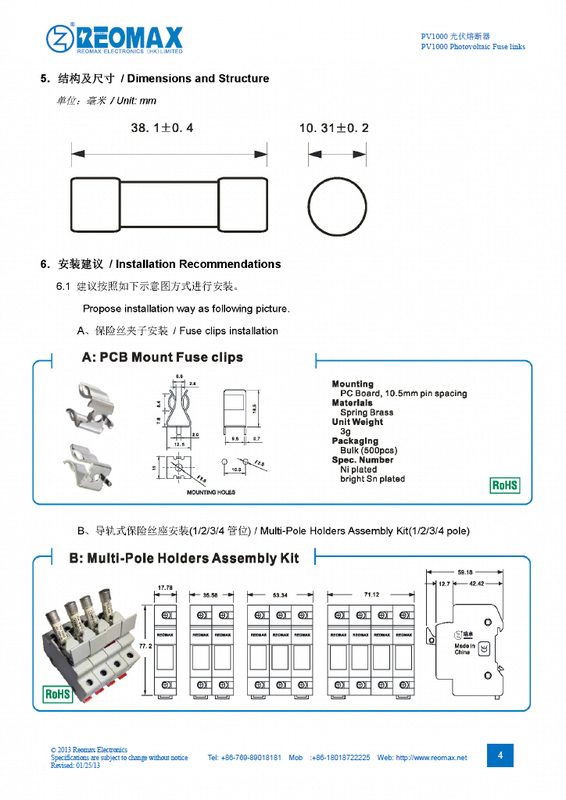 8 Multiple installation options are available: Fuse Clips, Fuse Blocks and Multi-Pole Global Modular Fuse Holders Assembly Kit.